As Linate is only 7kms from Milan city centre many of the passengers landing here are heading into the centre and if you are one of those we would recommend that you do not hire a car…get a bus or a taxi…it’s far easier! 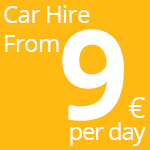 On the other hand if you are planning on geting away from the city and doing some touring / sightseeing or heading off to the ski resorts then hiring a car can be a good and surprisingly cheap option. The prices you pay will vary between peak and off peak seasons . . . but high or low season all the same rules apply . . . book early, book a basic car etc etc and you can’t go wrong. The only things to watch out for are the extras . . . like compulsory waiver insurance – where you have no excess to pay in the case of a crash or damage. It can b unavoidable as many companies insist on this. Personally it is something I always take but I am just pointing it out to warn you to take it into account when setting your budget it is something many companies insist on bnowadays. 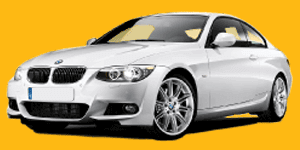 You also get the confusing – do you want to return the car full or empty? In many of the “tourist” airports the car hire companies are insisting on you returning the car empty – which of course is virtually impossible – far better to try and secure the agreement of returning the car with a full tank of fuel, it will add 10 minutes to your return journey and but is worth the effort! If you are doing this, it is also worth looking for a petrol station a bit away from the airport, as the nearer they are to the terminal the higher the petrol costs! In fairness to the car hire companies the prices have been driven so low in recent years these extras are probably where the profit is. OK…distances and some rules to remember! Cervinia, Breuil-Cervinia – 200kms (2hr 15mins) – one of Italy’s best ski resorts! Some important rules to bear in mind…. They also have a very low thresehold on driving with alcohol…best to refrain completely from drinking if you are driving…tough I know with so many great wines…but….